This is a new denim style of polo in the B&C brand which has a fabrication of Body: Pique 100% Pre-shrunk ringspun combed cotton. 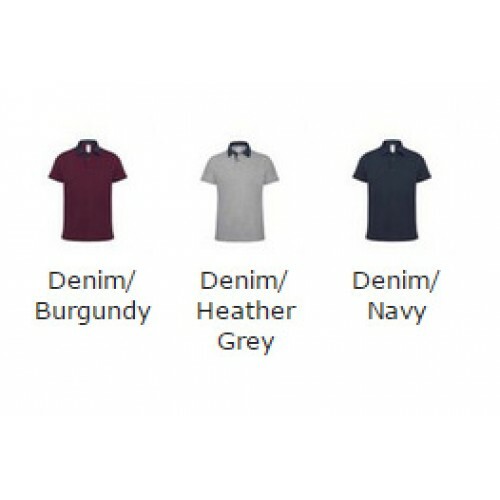 Collar: Denim twill, 100% Cotton. Heather Grey 90% Pre-shrunk ringspun combed cotton, 10% Viscose - Its ideal for casual wear or if you have a brand this can be used as the base and then you can have your logo embroidered on to it to make a bespoke garment. 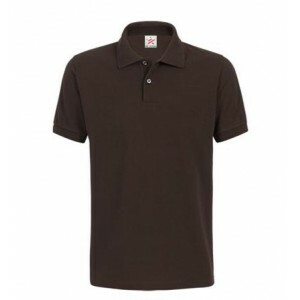 The material is 180 making it a good quality polo shirt and ideal for your custom logo embroidery. We have a wide range of sizes on offer which include S, M, L, XL, 2XL (32/36", 36/38", 38/40", 41/42", 43/44"